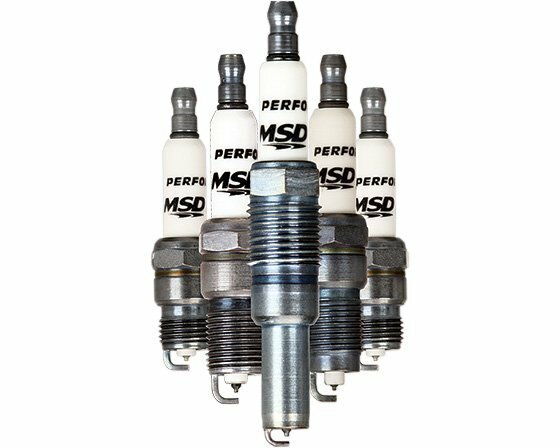 MSD Spark Plugs are durable enough to withstand the rigors of performance operation using high output ignitions. Yttrium ground electrode alloy reduces electrical wear while a center cut ground electrode ensures un-shrouded spark for improved combustion. Iridium contact on the center electrode insures long life with high output ignitions. The space between the center electrode and insulated tip enables a fast evaporation of fuel preventing formation of soft combustable deposits on the insulator tip. Ground electrode with center copper core reduces temperature and increases mileage intervals. 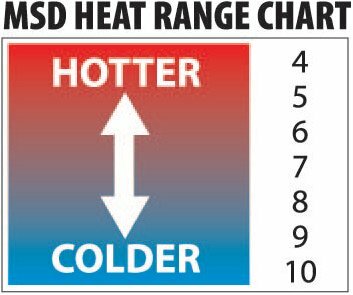 Copper core center electrode reduces operating temperature promoting long life and reducing the possibility of detonation. Zinc-Nickel Chromated shell resists corrosion and seizure. Proprietary ceramic improves dielectric strength, eliminating failure with high output ignitions. Fixed Terminal Nut for solid connection. 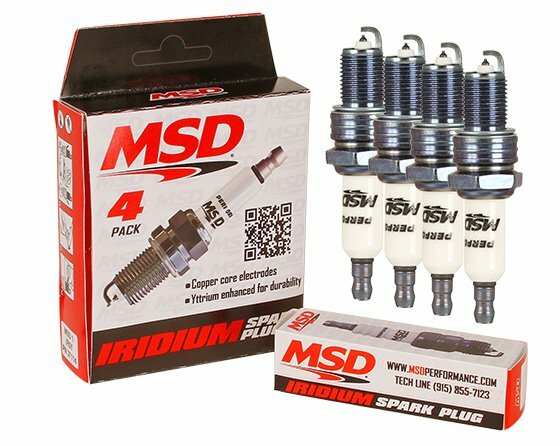 With over four decades of experience in engineering and manufacturing high output ignition systems, MSD Performance proudly offers High Performance Iridium spark plugs! Whether you’re on the street, trail or track, MSD has a performance plug that will fire up your engine. MSD’s spark plugs are engineered to improve the efficiency of the combustion process to create the most power possible combined with increased durability. The center tip of the plug is made from iridium to promote the best spark and increase resilience. A proprietary ceramic material enhances the dielectric strength of the plug housing forcing the spark, even under extreme cylinder pressures, to jump across the plug gap to the ground electrode. This electrode is machined to expose more spark to the incoming gases to promote the most effective combustion event possible.